To further celebrate reaching the 1000th episode milestone of the Creating Wealth podcast, Jason Hartman took a look back at the past and featured several of the many people who have contributed to the show by visiting and giving listeners tips and reflections on their stories throughout the years. This episode featured statements and sound clips from many of the investors who have taken part in real estate investment through the Platinum Properties Investor Network. To cover this celebratory episode, Hartman plays a compilation featuring the names of many of his past guests. Though he could not include the names of every guest with the episode’s allotted time, he covers introductions for Dr. Ron Paul’s visit to the show, as well as Bill Whittle, Brian Tracy, Amity Shlaes, Cliff Ravenscraft, Chris Mayer, Craig R Smith, Senator Byron Dorgan, and Dan Millman. He featured a proud moment in Creating Wealth history when he was visited by one of his great mentors, Dr. Dennis Waitley. Other guests mentioned were Doug Casey, Eve Wright, Frank McKinney, Dr. Gary Chapman, Doug Conant, George Gilder, Greg Palast, Jim Rogers, John Gray, John Lawrence Allen, John Lee Dumas, John Molden, John McAfee, Jonathan Bender, Dr. Kelly McGonigal, Matthew Hork, Melissa Francis, Kevin Armstrong, Meredith Whitney, Nick Bilton, Pat Buchanan, Patrick Burn, Noah Kagan, Noam Chomsky, Peter Schauer, Rich Calgar, Robert Kiyosaki, Steven Kotler, T Harv Eker, Congressman Todd Eagen, Vitally Katsenelson, Zack Bissonnette, Ray Boris, Po Bronson, Robert Green, Steve Forbes, Tom Kramer, Danielle DiMartino Booth, John Burns, Jeff Myers, Ken McElroy, Lawrence Cutler, and Harry Dent. Hartman welcomes listeners to Episode 1001 of the Creating Wealth podcast, thanking everyone for all of the kind emails, Voxer messages, and entries to the website congratulating him on the recent milestone. He explains that he loves what he does and plans to keep the information coming until he reaches Episode 2000 and beyond. He notes that today is going to feature several miniature client case studies where he has pulled a few comments from clients throughout the years. Time was a factor in the compilation of these statements, so Hartman apologizes ahead of time if listeners find that their statements are not among the list. He adds that he appreciates learning from all his listeners, investors, and clients alike as they have shared their experiences on the show. If you haven’t been featured yet, this is your personal invitation. Jason Hartman would love to have you on the podcast to share your story and expertise in the near future. Hartman states that he is currently in Fort Lauderdale, Florida and will be leaving for Philadelphia tomorrow to prepare for the upcoming Creating Wealth seminar. He plans to stay in the Northeast until the Venture Alliance trip in New York City during Memorial Day weekend. A great deal of guests are registered to attend, and this Venture Alliance meeting might have the biggest turnout yet. He adds that he had a very interesting interview recently with a great guest for a near-future episode that is likely to be published on Monday. Listeners are going to love this interview. The first clip in the series features an investor thanking both Hartman and investment counselor Carrie of the Platinum Properties Investor Network for their support, noting that they have been very beneficial to him as well as other investors. Another speaker explains that the paradigm has changed and that people need to do something that’s counter-intuitive, like being in debt even though we have all been taught before that this is a bad move. He states that perhaps it’s the few early people who understand and witness things and being the canary in the coal mine is perhaps what Jason Hartman has been. He adds that he’s surprised that what’s being taught here isn’t more of a mainstream concept, though he realizes that this business is not for everyone. It surprises him, though, that so few people are thinking this way. One man mentions that he got started by reading Robert Kiyosaki’s Rich Dad books, and he explored different motivational speakers until he stumbled across Jason Hartman’s podcast seven years ago. He notes that he was hooked afterward and liked his philosophy on real estate. He wanted to get started years ago and opened some businesses that went well, but not as well as he planned. He mentions that he lives in New York and as such he has a lot of expenses, so he saved his money again and now he’s here with the Platinum Properties Investor Network, ready to invest in income properties. Another clip features a client simply stating that working with the Platinum Properties Investor Network team and local market specialists, he was able to get the property he wanted and that he’s happy with the price and rehabilitation, and the tenants have worked out well for him. The next investor explains that she tried to sell her home in 2010 but became frustrated with the potential buyers and decided to turn the property into a rental instead. She now owns five properties including three in Little Rock and one in Mississippi, as well as the one in which she resides. She states that she was very impressed with the turnkey operators and the renovations that were done on her properties. She kept investing because she found income property to be a great way to build wealth. She adds that she shows up with the money and lets her money work for her. Initially, she discovered Jason Hartman’s podcast through her friend Elizabeth and liked his passion, enthusiasm, and how knowledgeable he was. An investor explains that he was interested in investing in general and constantly educated himself on different types of investing but always came back to real estate. He read a lot of real estate books including Rich Dad Poor Dad, and it opened a lot of thoughts for him. His medical partner turned him to the Platinum Properties Investor Network because he’d invested as well. The client discovered the podcast and educated himself before jumping in. He was interested in the 1031 exchanges mentioned in Kiyosaki’s book. Another investor claims that she started getting involved with investment properties because she wanted to supplement her retirement funds. Currently, she owns ten properties on her own, and another ten with her husband. The couple found the Creating Wealth podcast when her husband was searching online. Convenience was the aim for one investor, who was always interested in real estate but didn’t want to deal with all the phone calls and tenant issues. After the economy crashed in 2008, he came across the podcast and decided to go for it. He adds that Jason Hartman’s method works, and he doesn’t have to deal with issues in the same way as he would have without the guidance he’s received. One investor explains that he was leaving command and taking a position at the Naval Academy. With this, he had a lot more free time and wanted to shift his income from active to passive. He read Robert Kiyosaki’s books, Rich Dad Poor Dad as well as others, and they really spoke to him. The system made sense, and he was interested in following that model. As a mechanical engineer, real estate made sense to him. He started listening to Hartman’s podcast when the episode numbers were still in the teens, then got his first property in St. Louis in 2011. He is currently at eight properties while his wife Susan is getting her first three and plans to have six within a month. Another client mentions that he invested because he was previously taking part in a 401k and other traditional retirement plans, and they didn’t work for ten or fifteen years. He wanted something different and found real estate investing as a better avenue. His first property happened by accident, he explains, as he was unable to sell a house he’d had when he moved out of the area he was in. The issue ended up being a good thing and became a rental. He now has ten properties. Traditional investments were not working for him, so he liquidated everything and is living much better with real estate. He adds that it comes down to being comfortable with the education. If you follow a path of success, it’s easier to replicate. This investor explains that he started researching investment real estate three to four years ago, and two years ago he was lucky enough to stumble onto the podcast. He listened for three to four months and was hooked. He agreed with everything presented from politics to real estate. He decided to input his information into the system and Oliver contacted him shortly afterward. He’s been a great resource and has pointed the investor in the right direction, helping to educate him as well as showing him different sources of information to absorb on his own. A client explains that one thing that happens when you don’t have a background in real estate and instantly buy an expensive portfolio is that you realize that you don’t know anything about the field. This was his experience, and because he did not have any friends in real estate, he was looking for resources and came across the podcast. He was pleased because this was something he could listen to on his own schedule and obtain valuable information without having to pay for it. He began listening in 2009 and was sold on the idea as he liked the turnkey single-family homes. In 2012, he bought his first property in Memphis. He adds that his wife was not as excited about it as he was initially, and it took some work to convince her. He had to use his own IRA to invest, and it worked out well. Another client has been an investing for two years and mentions that he has six properties as of now. One property is in Kansas City and three are in Memphis, with the rest being in Little Rock. He listened to the podcast, and it made sense to him, so he made a quick decision. With a month of listening, he went to a Meet the Masters event. He started buying properties right afterward. Previously, he notes that he tried to study the stock market and listening to the podcast made more sense. The method is real, the returns are quite good, and it isn’t a scam. One man adds that while Hartman mentions being “area agnostic” in a lot of the podcast’s episodes, he adds that investors should be age agnostic as well. One can start investing at any age, from very young like Hartman was to later in life. This investor explains that he got started in his fifties. With a background in finance, this investor eventually became interested in real estate. She explains that in the past she was touting diversification, but it was related to stocks and bonds. After telling people that the method should work for them when it wasn’t working for her, she decided to venture out and try new things. Real estate investing interested her, and she got excited about it right away because it made sense. Though she wasn’t sure at first if it was something she would do, she learned about creating a team as well as how to go about investing. Her biggest challenge was that in traditional finance, it was easy to read. This took more effort, and she realized she couldn’t do it alone. She found Jason Hartman and the Platinum Properties Investor Network through another podcast he spoke on and thought he sounded smart. She listened for over a year and got into investing. Another investor started listening to the podcast a couple of years ago, and after he connected with Sara, she helped him through the entire process. He ended up buying his first property in Atlanta in 2011 and waited a few years before buying another in Memphis during 2014. One client has been following the podcast since 2007 and attended a seminar back in the Newport Beach office. He states that he attended the property tour in Cincinnati and sold his Texas property via a 1031 exchange with two of Mitsy’s properties in Hamilton, Ohio. Things have been working great for him ever since, and in 2017 he sold his home in Chino Hills. With the proceeds he is going to go all in on rentals. He has followed Hartman’s lessons to the T, and it is working well. He isn’t buying in California anymore, and though he was a student of stocks for years, it doesn’t make sense anymore. The guys at the top make sure they win, and the other people don’t. Searching through iTunes, this investor came across the Creating Wealth podcast and resonated with the message therein. He liked the idea of reducing taxes and generating enough income to replace his corporate job. Along with the message Hartman displayed, the investor was impressed with the high caliber of guests in attendance. There were people who could present expertise and allow him to judge their responses against Hartman’s message. He could vet this message and be sure that what was said made sense. This client explains to Hartman that he’s the kind of person who has the capital, is a great negotiator, and has great people skills and with these characteristics he could be a successful flipper. He adds though, that one has to be flipping to make any money, which is why he prefers income properties. They tend to make money for the investor. The high payoff over time is what this client liked about real estate investing. He explains that he is going to have something when he retires and likes that it’s a boring investment. He plans to do fun things after he retires, and that boring real estate investment is going to allow him to do so. Originally the owners of shopping centers, this client explains that it was never their fulltime goal, but they had a hard time saying no to a great deal as they wanted a nice life for themselves. The shopping centers took a lot of effort to run, and they were located in a part of town that’s hard to attract professional managers to. 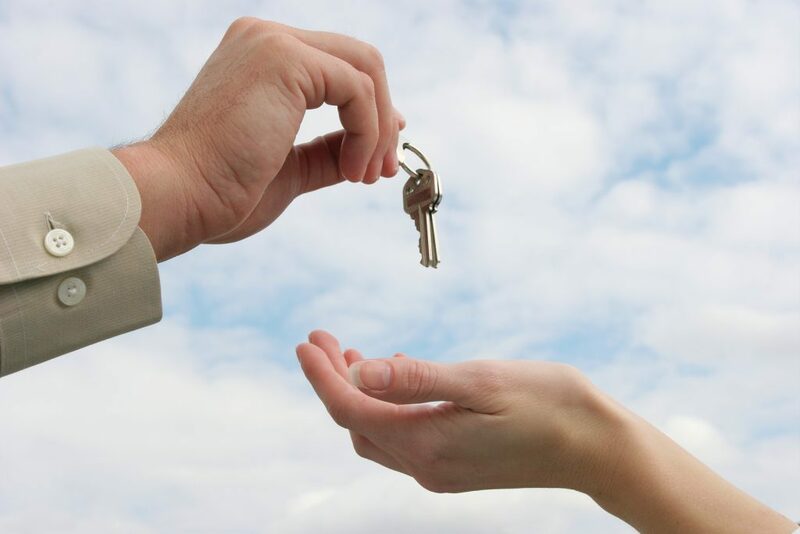 The client had to do their own property management and made the decision to sell the centers in favor of single-family homes in an effort to take some of the workload off of their shoulders and have help from property managers. 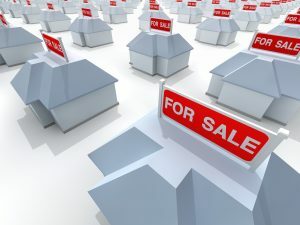 One investor explains that when combining the concepts of inventory shortage, the fact that there’s still a runway, and the fact that there isn’t a standard tool to figure out the value of a house, it’s good to have an investment counselor to help navigate the waters. As much as we’d like to automate everything, one still needs people with knowledge and helping hands to ensure that investment is being done the right way. Another client applauds how professional the Platinum Properties Investor Network team is and how well they communicate. Even being such a long distance away, he affirms that the team’s communication with him is fantastic, and they continue to check in and make sure that things are going well. After being introduced to different people on the team, from Sara to the local market specialists, this investor states that everyone has been more than helpful to him. He is back for more and plans to buy more properties this month. He notes that a bit of work is needed upfront, but later on it isn’t much. The returns are great, and Hartman runs a wonderful program. Another client mentions that his goal is to get his friends involved with real estate so that they can do what he does. He’d also like to spend more time with his family, which may include grandchildren in the near future. This client started listening to the podcast in 2010, and in 2011 she attended her first meeting. By 2012, she bought her first property and explains that her husband was a little bit ahead of her schedule, but they both listened obsessively to the Creating Wealth podcast. In the final clip, an investor credits Jason Hartman with his adventure in real estate investing. He explains that he tried to flip a house and it went sideways, so he had a condo that he rented out afterward. He discovered that being a landlord wasn’t so tough and found Jason Hartman to get more into the process. He got a lot more information and thanks Hartman for his work.